It’s official, the concentration of heat-trapping carbon dioxide (CO2) in the atmosphere was higher than 400 parts per million (ppm) for the entire month of February, on average. This definitive measurement comes from the Mauna Loa Observatory, which has been monitoring CO2 continuously since 1958. The saw-tooth pattern indicates the annual atmospheric inhales and exhales of CO2 connected to vegetation growth and decay. 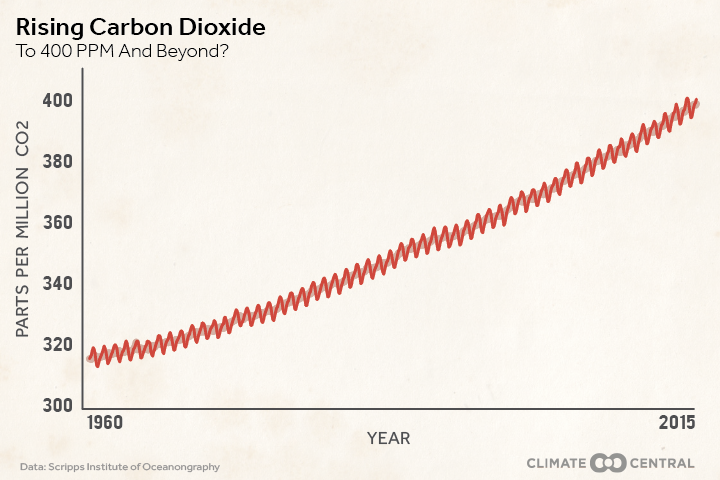 But overall, CO2 just keeps on climbing due to human activities such as burning fossil fuels. 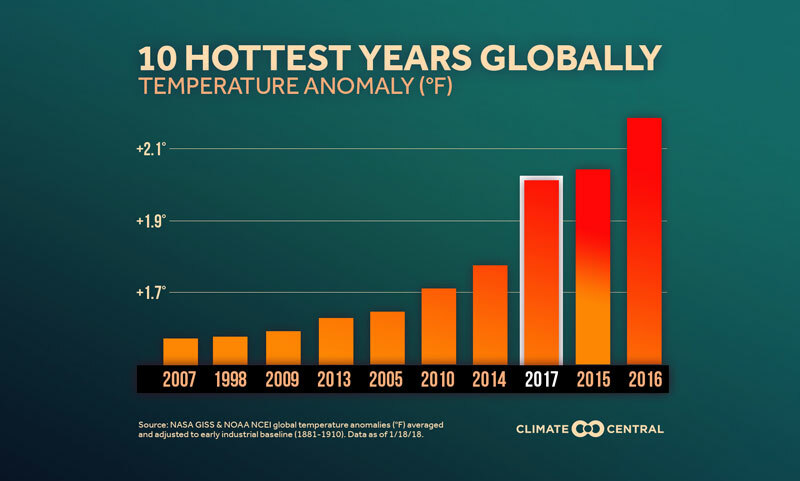 This is the earliest in the calendar year we’ve hit this global-warming milestone. 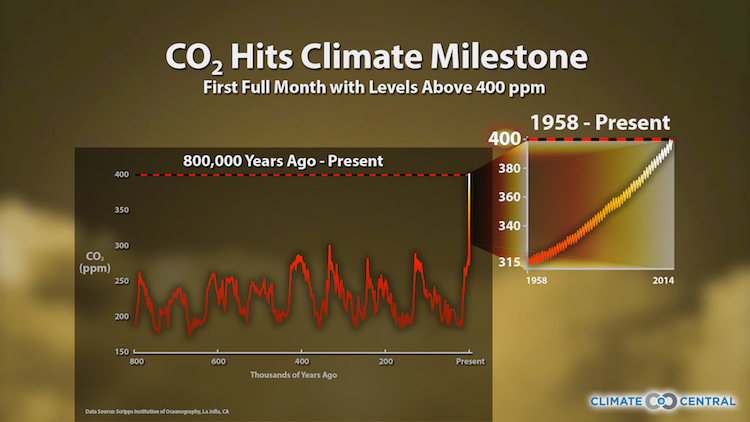 In May 2013, CO2 snuck above 400 ppm just briefly, a CO2 record. Last year, it happened in March. The monthly average stayed above 400 ppm from April through June, another series of firsts. This year, we’ll probably be above 400 ppm for as many as six months. And in the next year or two, we’ll likely go above that mark permanently. 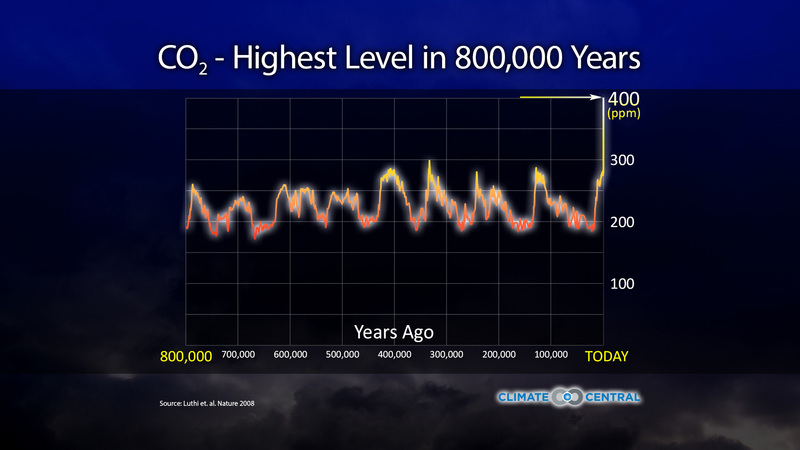 This is the first time in at least 800,000 years, and possibly as long as 2 million, that levels have been this high. You might think, “so what?” After all, 400 CO2 molecules for every million air molecules is just .004 percent. 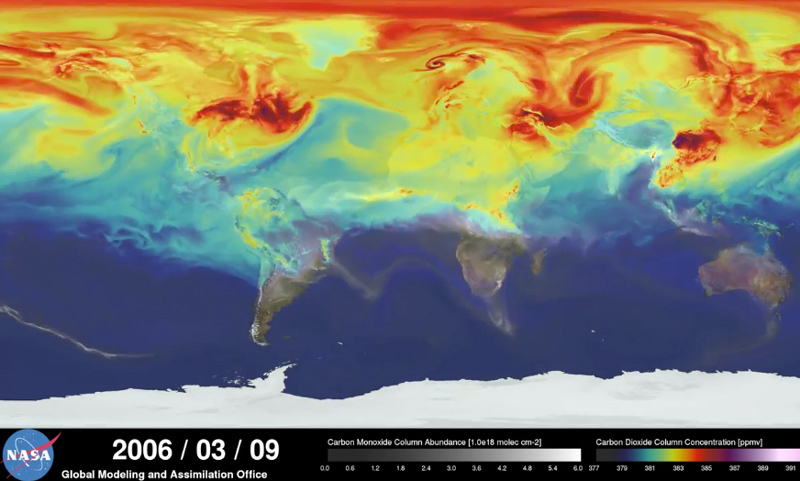 It's hard to believe that such a puny concentration of CO2 could do much of anything. 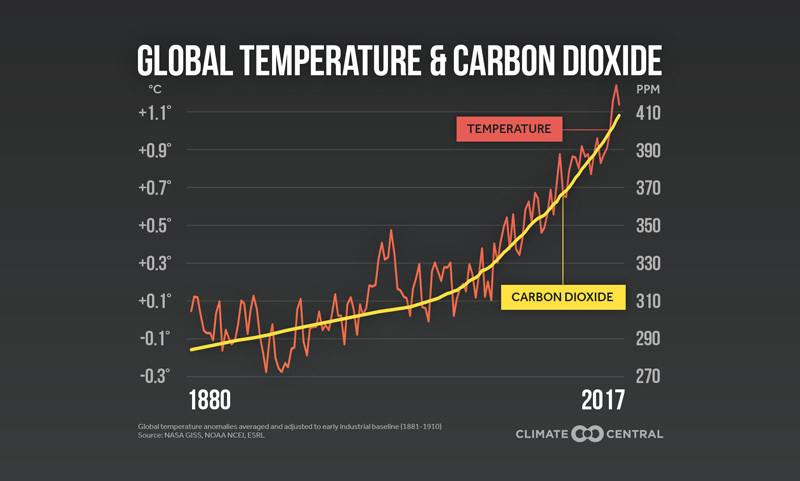 But in fact, 400 ppm is 40 percent more CO2 than the 280 ppm that was in the atmosphere when humans started burning fossil fuels at the start of the Industrial Revolution. Basic physics says that when you pump more of a greenhouse gas into the air, you trap extra heat, and the temperature will start to rise — something we’ve clearly seen is true. 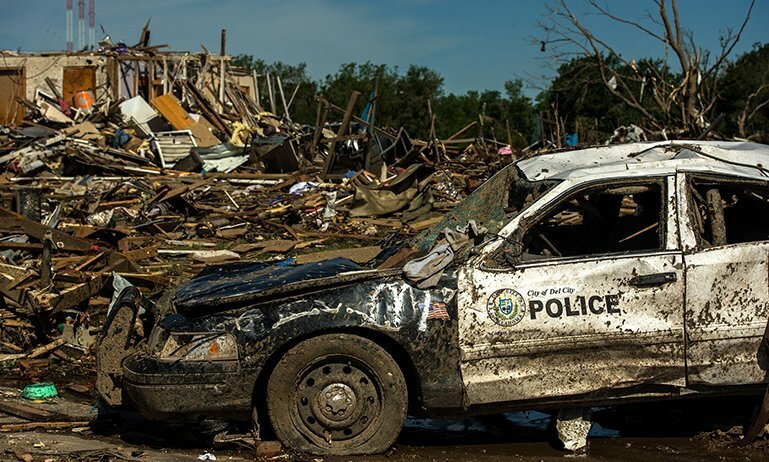 It’s not that 400 ppm of CO2 marks a sharp dividing line between a safe and unsafe amount. The atmosphere doesn’t trap a lot more heat at 400 ppm than it does at 395 ppm. And 405 ppm isn’t significantly worse than 400 ppm. But like any of the above examples, a little extra is a little unhealthy; a moderate amount is moderately bad; and a whole lot can be extremely bad. 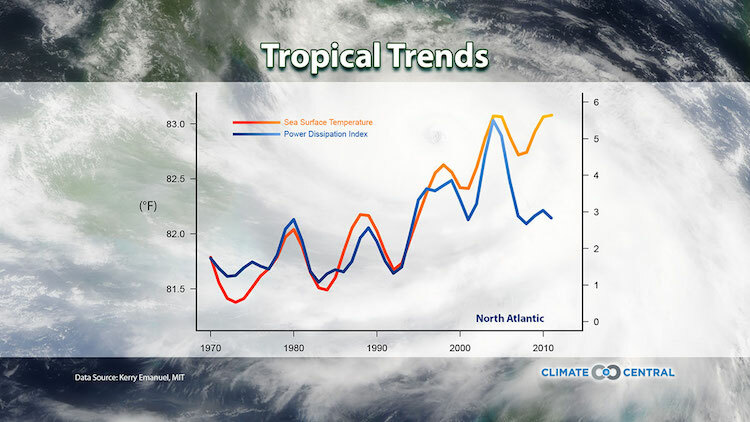 As CO2 levels go up, the Earth traps more heat and the average temperature rises. The result: melting glaciers that drive up sea level; disrupted weather patterns that cause more intense downpours; increased odds of heat waves; more big wildfires; ocean acidification; and a host of other disruptions that are bad for the economy, ecosystems and human health. 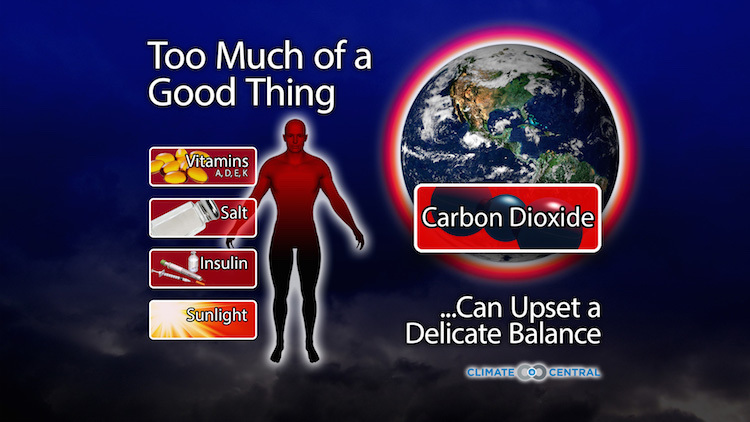 Isn’t CO2 a Good Thing?